CUCIRINA! 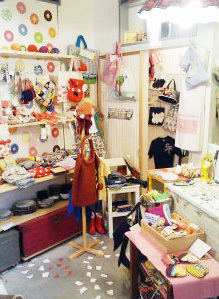 is a little ZAKKA shop which stands in Futako-tamagawa, Setagaya, Eastern part of Tokyo. 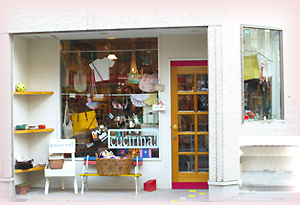 It is on the traditional street of shopping that will be found here and there in Tokyo, where the people have their everyday-life. 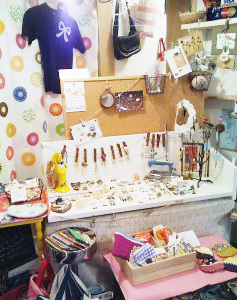 What is ZAKKA? Maybe you will ask us. 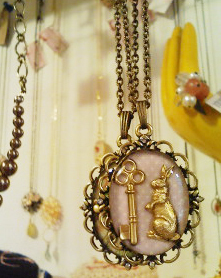 We will answer,"ZAKKA is what girls love. ZAKKA is what makes girls happy." Step in, you will find so many only-ones in this small store that you can't look through in brief. You will find the fact that lots of creators sent their "children" here to show their dream. 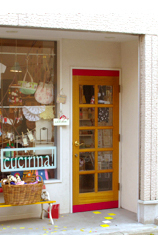 Accessories, bags, illustrated stationaries, dolls, and ...many. Please take your time, and find the only-one of your own. If you'd like to make purchase of our products, please feel free to contact us.You can pay by Paypal even if you are abroad.